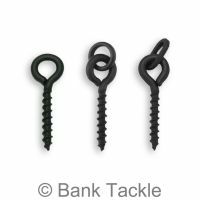 Designed with a micro flexi ring swivel these bait screws help present hook baits with a more natural movement. 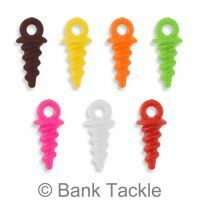 Bait screws are used directly on the shank of Carp Hooks and can be used with many different baits such as Boilies, Tiger nuts, Pop Ups and many more. 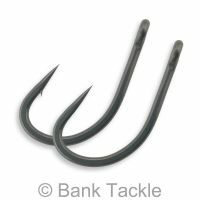 Hook Stops are needed when using bait screws directly on the hook to prevent them sliding of. 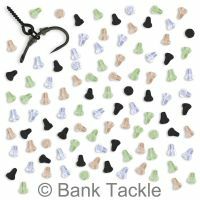 Bait screws can also be tied to a hair instead of being used directly on the hook. 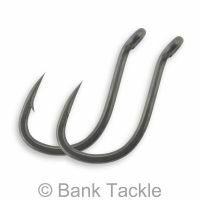 Perfect for use on D rigs, Ronnie rigs, Chod rigs and many more.